Hello! Today we are showing off some of the new Taylored Expressions stamp sets that are part of the Whimsical Wishes/Moka Collection by Nancy McKinney! 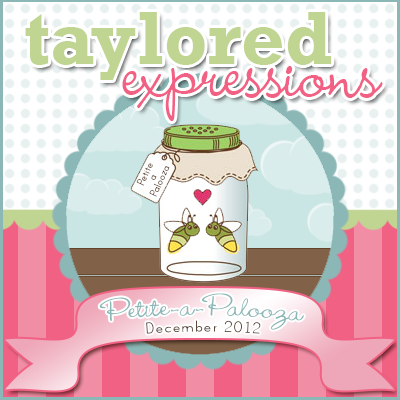 You can find all of the new stamps in the Fresh out of the Oven Department in the Taylored Expressions Store! 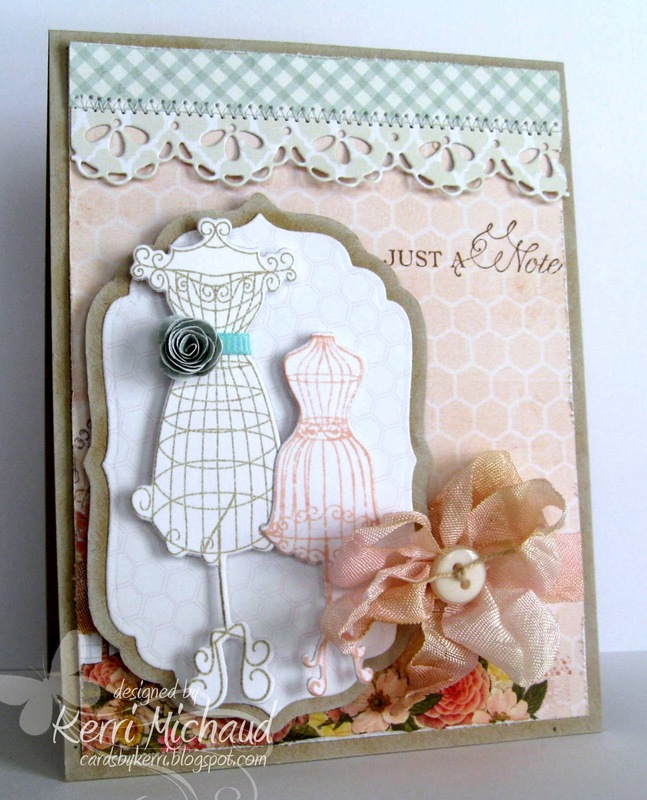 I made a project using the fabulous Bonjour Couture set which I LOVE!!! I stamped the dress forms in SU Sahara Sand and Tim Holtz Tattered Rose Distress Ink to match my paper. 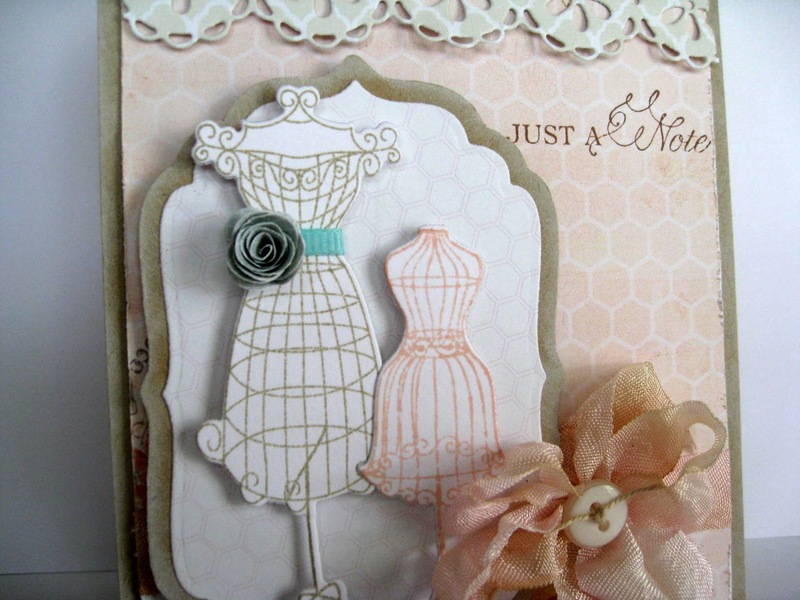 I added a rolled paper rose which was inspired by Melody's GORGEOUS card HERE. I also used some seam binding ribbon with a vintage looking button and twine, and the beautiful border was cut with the Lace Chain Border Die. I ADORE the sentiments in this set! I think the font is amazing! Make sure you check out the rest of the awesome projects that the Baker's Dozen have created today! That's it for me today. We are heading over to the Tampa area for Avery's state gymnastics meet! Wish her luck! Very pretty card. Love the pretty papers and colors! Wow Kerri, This is beautiful! I just love the soft colors you used the stamp those dress forms.